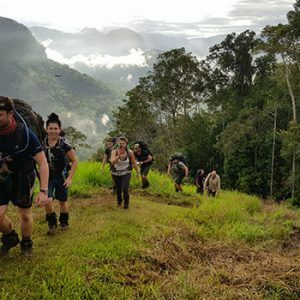 Click on our Kokoda Track tour dates (tab at the top of the page) to see our small group set departure dates and all the information you require. 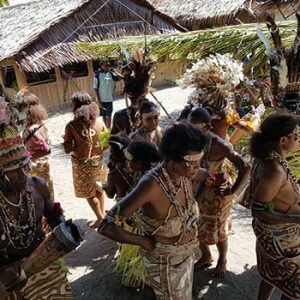 Our extended tour visits the Northern Beach villages of Gona, Sanananda and Buna where we stay in our beach side guesthouse. 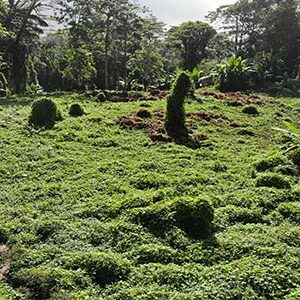 Here we tour the battle sites of mass carnage before spending time with the village locals admiring the PNG village life (schools, churches, cooking and making sago flour to name but a few experiences). 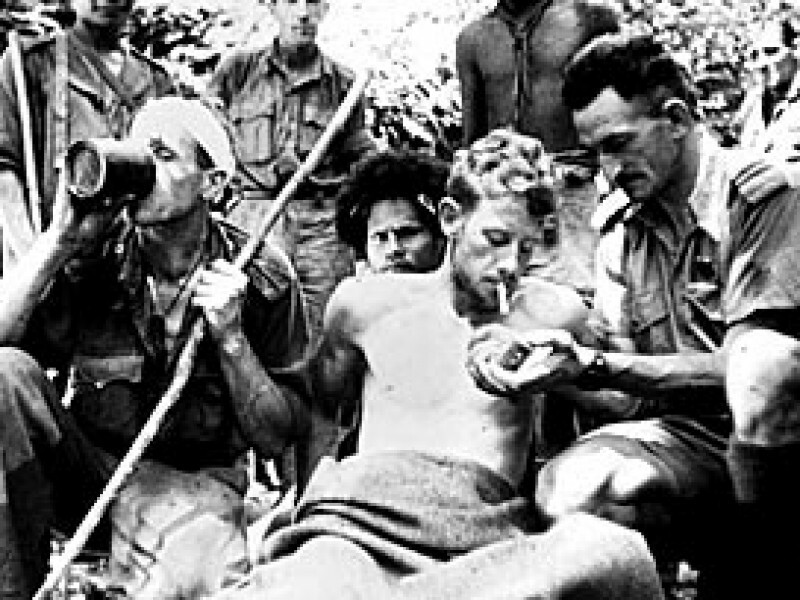 The Kokoda battle was considered the battle for Australia in 1942. This was considered the battle for the Australian mainland as the south sea’s force of the Japanese empire swept through the pacific capturing Singapore, Thailand, Malaysia and Rabual unchecked, before coming ashore the Australian mandated territory in a bid to isolate the Allied offensive in the Pacific. 1942 was considered the crisis year for Australia during the war years. The Australian general public was kept in the closet about what seemed like imminent invasion by the Imperial Japanese Army. The Sir Robert Menzies era of governing left Australia almost defenceless on the eve of the imperial push. Our highly skilled and trained armed forces (the AIF) where serving aboard in the deserts of the Middle East, Europe and England. 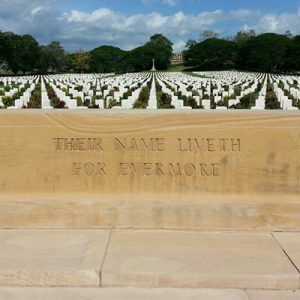 Australia was left with a nation being defended by our militia (todays equivalent of the Army Reserve) who where either too young to go to war, or left over WW1 veterans who were too old to be sent into battle. Many of the young militia didn’t care for the army defending the king and country, however the militia provided shelter, food and a meager pay, which preceding the Great Depression seemed like a pretty good deal. Their training was basic to describe it at best. Many hadn’t fired a weapon let alone understand any military tactics or discipline. Our war ships were given to our mother country England at the beginning of the European war, leaving us with a fleet of coast runners and merchant ships. It was like sailing into the battle for the Coral Sea with harbor tugboats. The skies were defended by under engineered planes such as the Wirraway, which was no match for the Japanese Zero’s that hunted us down like a pack of lions on a cornered meerkat. With Prime Minster Curtain now at the helm of Australia, he recognised the dire situation of our armed services and lack of spending during the preceding decade before the outbreak of war. Curtain swung the Australian manufacturing industry into over drive. 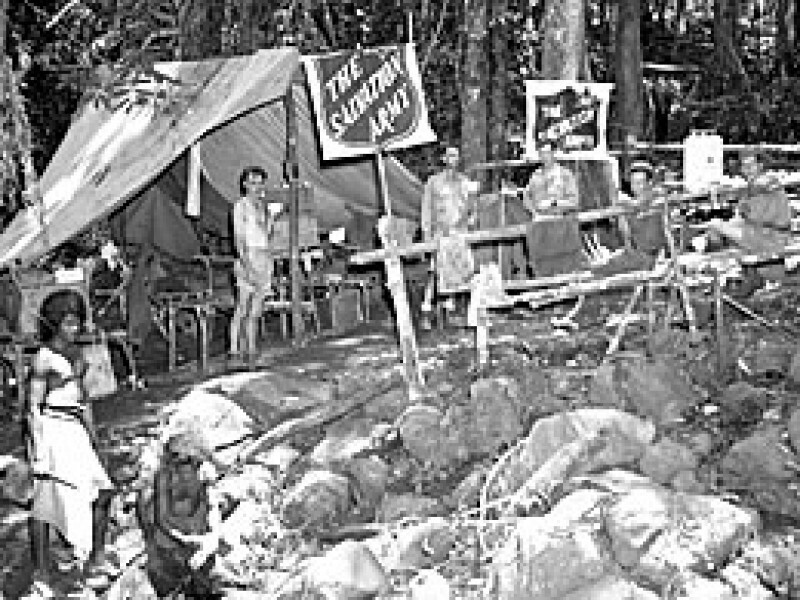 Curtain was also responsible for bringing home the 7th division just in time to halt the Japanese advance along the now famous Kokoda Trail. 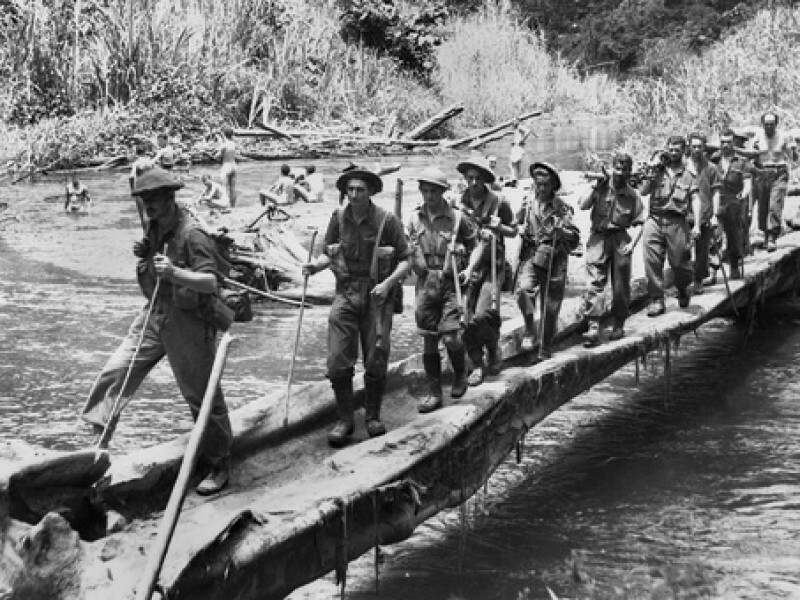 The now famous 39th Battalion advanced over the Kokoda Track meeting the highly skilled and trained Japanese soldiers who pushed the Australian’s back out of Kokoda and Deniki to Isurava, where the 39th dug in and were ordered to defend until replaced by the AIF’s 21st brigade. 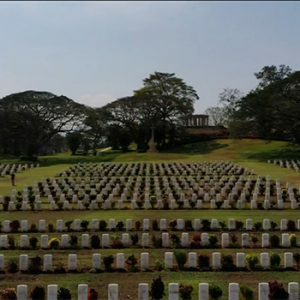 The Japanese closed in on the 39th dug in at Isurava, and many of the 39th veterans at the time believed they where abandoned by their country and left to die with no sign of the AIF arriving. The AIF did arrive in the shape of the 2/14th followed by the 2/16th and later the 2/27th battalions. This saw a bitter struggle take place with the Australian’s fighting a rear guard action dubbed the fighting withdrawal. 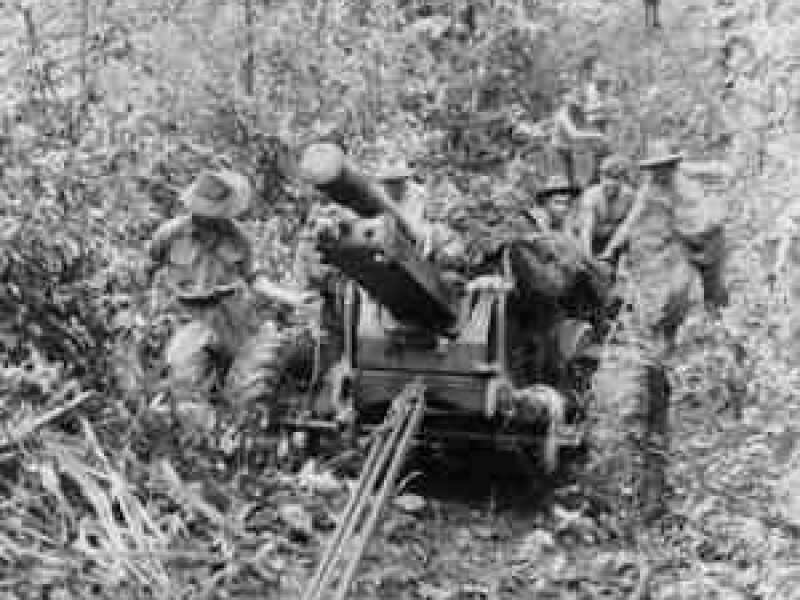 This action saw the Australian’s defend the track keeping themselves between the Japanese and Port Moresby. 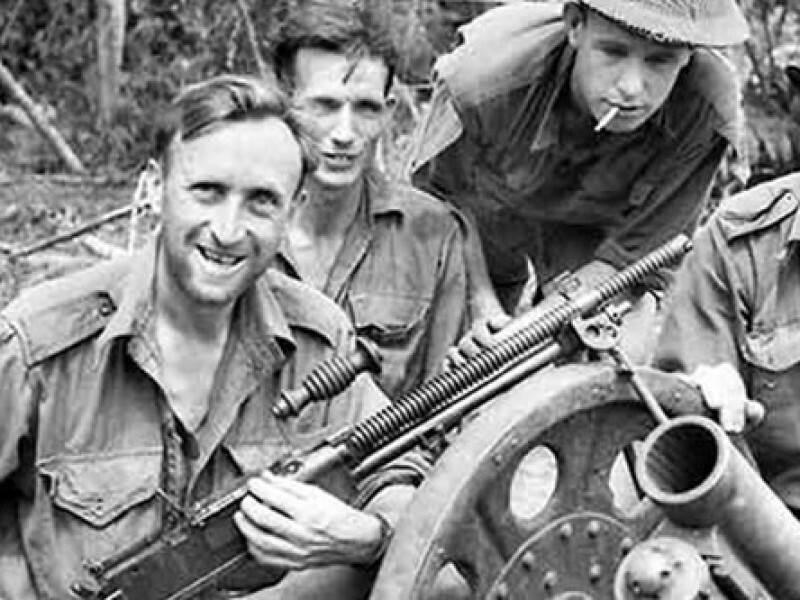 In late September the Australian’s where able to reverse the battle situation pushing the now tired and depleted Japanese back over the Owen Stanley Range to the Northern Beaches where at Gona, Buna and finally Sananada the Australian’s (and American’s) defeated the Japanese in detail. 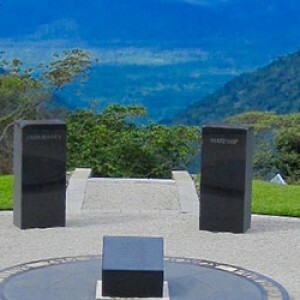 This battle is known as the Kokoda Trail Campaign and battle honours where awarded for these actions. 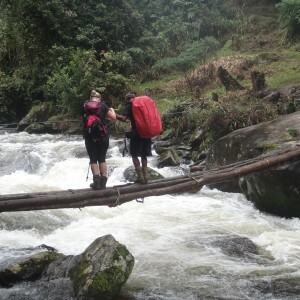 Trekkers please note that the itinerary is just a guide and can change for a number of reasons. 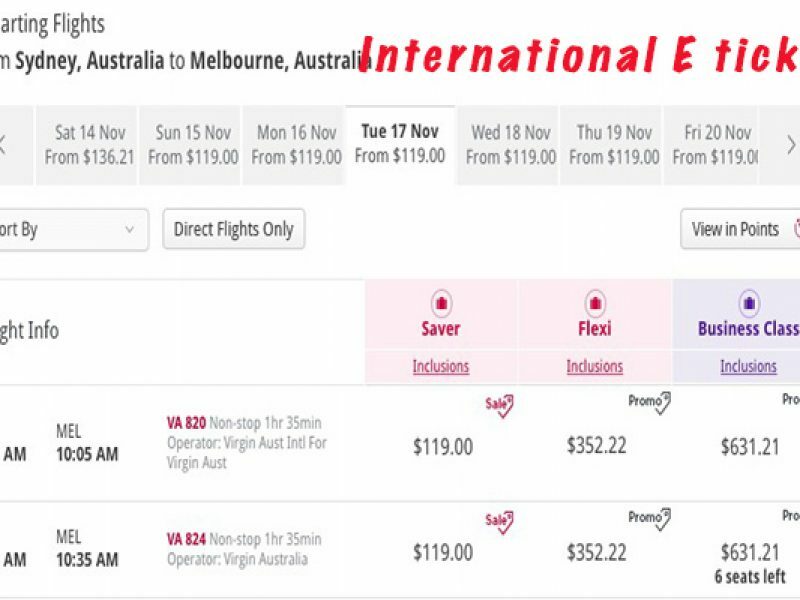 Your Australian guide will keep you informed and up to date with the itinerary on a daily basis. 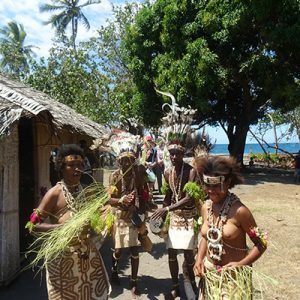 You will be met at the airport by our Escape Trekking Adventures PNG Operations Manager, and be transferred to the Ela Beach Hotel for the night. 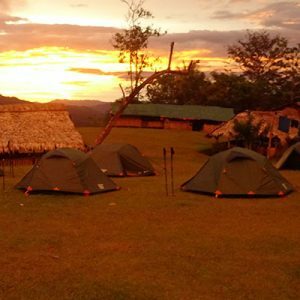 In the late afternoon trekkers will meet, collect gear and be briefed on what will happen whilst on the track. If you have any questions, the guide will be more than happy to answer them for you. Your group will enjoy a nice meal (personal expense) and discuss the adventure ahead. The night is then yours to pack for the following day and rest up before the onward journey. Please avoid alcohol prior or during the trek. (Any unwanted gear that you do not wish to carry on the track, can be left at the Ela Beach Hotel in a suit case with a lock attached. This will be there for you to pick up on your return – Please see reception that night or in the morning to secure your luggage). This can take a little bit of time so you need to be patient slow down and relax. The flight over the Owen Stanley Range takes 30 minutes and before you know it you have arrived in Popondetta. 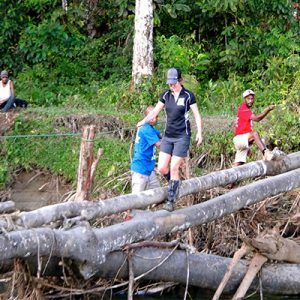 On the ground you will be met by our Escape Trekking Adventures team who will continue with you to Kokoda. 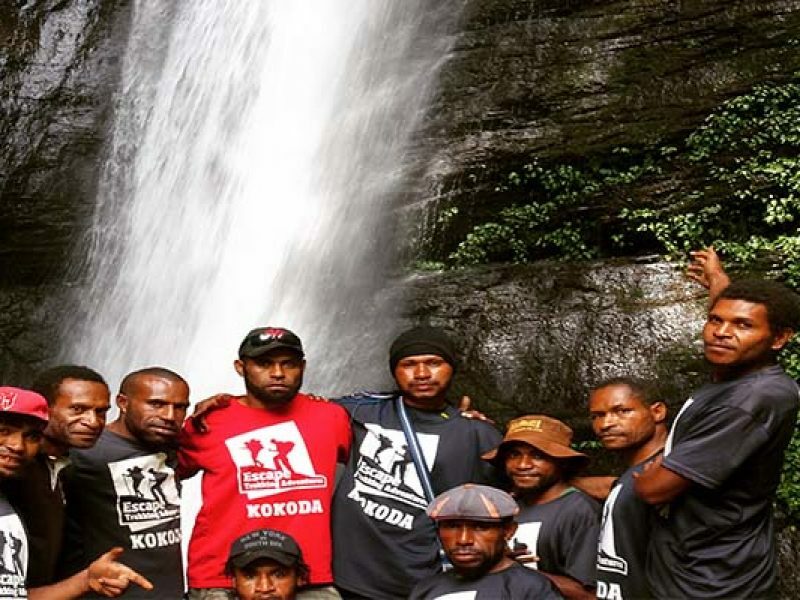 From Popondetta, the group will take the long drive through to Kokoda, on the way stopping at Awala, Kumasi River & Oivi for pictures and comentary. After a wash, the trekkers will share their first evening meal before being briefed on the history and the next day’s journey. 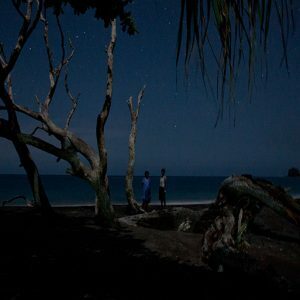 We leave in the early hours of the morning, after a special service held at Con’s Rock and walk for nearly 2 hours where we reach Alola and take a short break. From Alola we encounter our first steep down hill section which can be quite slippery if it is wet, this takes around 1 hour. From here we cross a creek and proceed to climb at a steady pace for 2 hours onto Eora Creek. The creek is a beautiful swimming place, although it can be a little chilly which is great for your aching mussels. 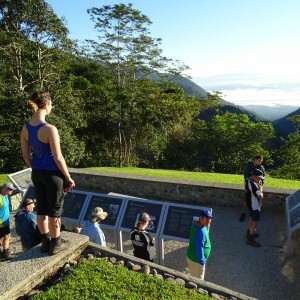 We then proceed up to Mt Bellamy and stop to take in the amazing view of the Kokoda Gap. We take our time and encourage each other, this section of the track can be quite difficult. 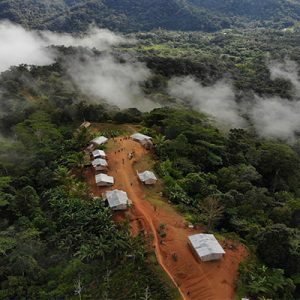 From the Gap we primarily trek to Camp 1900 and view the Myola Drop zone. 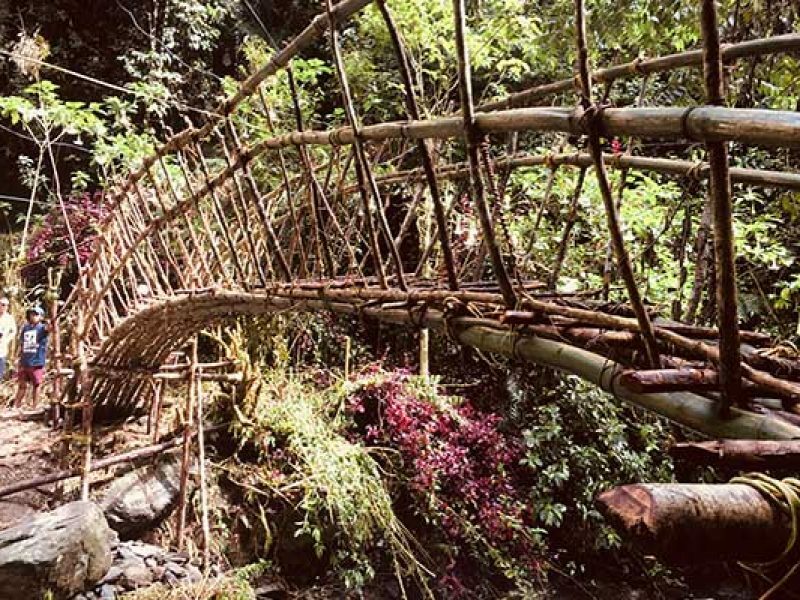 Tomorrow morning on our way to Naduri village, there is an option to trek along Bamboo Ridge to Large Myola (2) and back to Diggers Camp for the evening, this trek route will lengthen the day by up to 2 hours and only a complete and fit group can achieve this in day light hours. Occasionally this land along Bamboo Ridge may be closed by the land owners for cultural reason and this may result in us walking down the alternate track to 1900 our campsite for the night where there is a pleasant little stream to wash in. This campsite will be the coldest night sleep you will have on the track so rug up. Here we have a bonfire weather permitting. Setting off from Diggers/1900 we trek onto Naduri Village, the track leading into Naduri can be extremely slippery if it has rained, so take your time and watch your step. 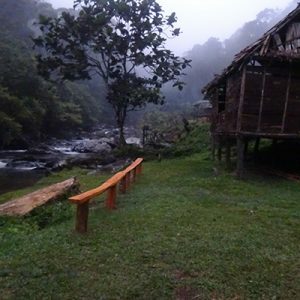 Naduri is a very beautiful village and the group will stay just beside the airstrip at the guesthouse with an intriguing tree house built by the locals. Naduri was the home of Ovuru Ndiki, one of the last Fuzzy Wuzzy Angels who sadly passed away in November 2013. We visit his sacred memorial and tomb where the old man lays in peace. One of Ovuru’s family members will greet us and tell stories passed on by Ovuru. After lunch ensure you are wearing sun screen as we spend quite a long period out in the open climbing up to Brigade Hill. Brigade Hill is the most eerie place to camp on the track and quite often the clouds roll in over the summit adding to the deep feeling of this special place. After an emotional early morning dawn service we descend down to Menari, on the trek down the ridge the group will be shown the lookout to Menari, and be briefed on the Japanese positions in the area during their advance. 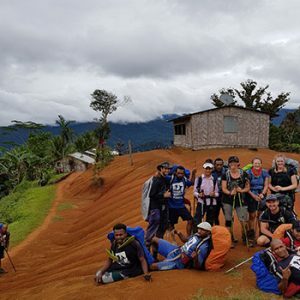 From Menari the group will trek up towards the top of ‘The Wall’ here we will have a rest and take our time descending down The Wall amongst all of the tree roots and mud. We stop for lunch at Agulogo, and it is not long after that the boots come off for the crossing of the Brown River. After Nauro we will trek up the ridge where it is easy to get discouraged with the remaining 9 false peaks. Trekkers encourage each other and before long you reach the top and trek down to the Japanese Ladder for lunch. From there the group continues down the ridge to Ofi Creek. This trek will take around 2-3 hours, depending on the pace of the group. Near the descent to Ofi Creek we pause at the Japanese ambush defensive position. From here you can see how deadly this position was. The group will trek up and over Ioribaiwa Ridge to the post war village. This is quite an amazing place for trekkers to stand, as it marks the place that the main forces of Japanese got to before being ordered to ‘advance to the rear’. The sunsets here are magical if the weather is kind to us and our porters quite often will play footy on the large grassed area and sing into the night. The group sets off early and progresses down through Dump 44 and on to Ua-Ule creek where we will cross the creek numerous times (17 times in total in this valley) before stopping for morning tea. 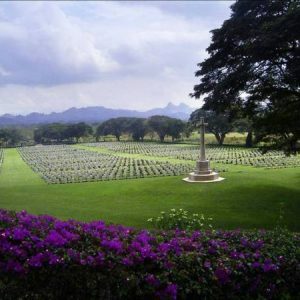 There will be opportunity here to view the memorials before boarding the bus transport back to Port Moresby and spend the last night at the Hotel. 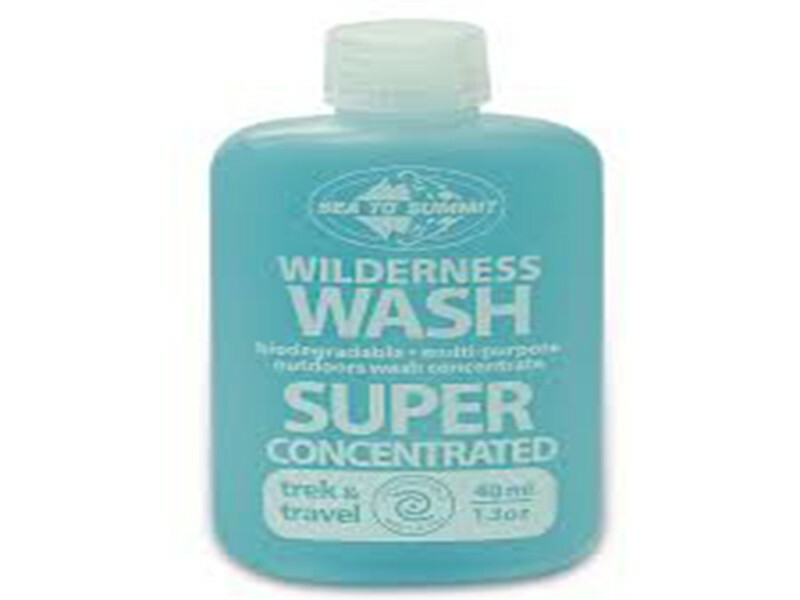 Trekkers do need to make sure that all their trekking gear is cleaned properly before the international flight to avoid any quarantine delays back in Australia. 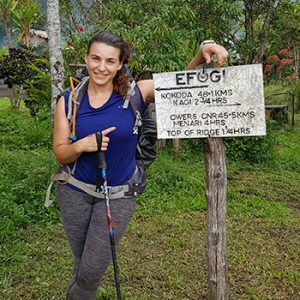 You will be met at the airport by our Escape Trekking Adventures PNG Operations Manager, and be transferred to the Ela Beach Hotel for the night. Your Australian guide will be waiting to greet you at the hotel. In the later afternoon, trekkers will meet with the Australian guide to collect gear and be briefed on what will happen while on the track. If you have any questions, the guide will be more than happy to answer them for you. Your group will enjoy a nice meal (personal expense) and discuss the adventure ahead. This can take a little bit of time so you need to be patient slow down and relax. The flight over the Owen Stanley Range takes 30 minutes and before you know it you have arrived in Popondetta. 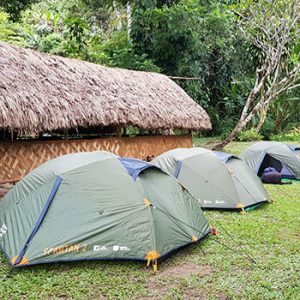 On the ground our Escape Trekking Adventures team will be awaiting your arrival and will continue with you on the Buna Adventure. We will continue onto Gona by boats. After cruising for a while, the boat will head into the beach at Sanananda, where the group will take a short walk into the village to see the Australian and Japanese museums. Back onto the boats we soon arrive in Buna. 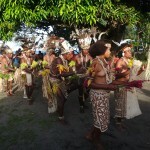 We will be warmly welcomed by the locals when we arrive with a traditional dance and flowers. 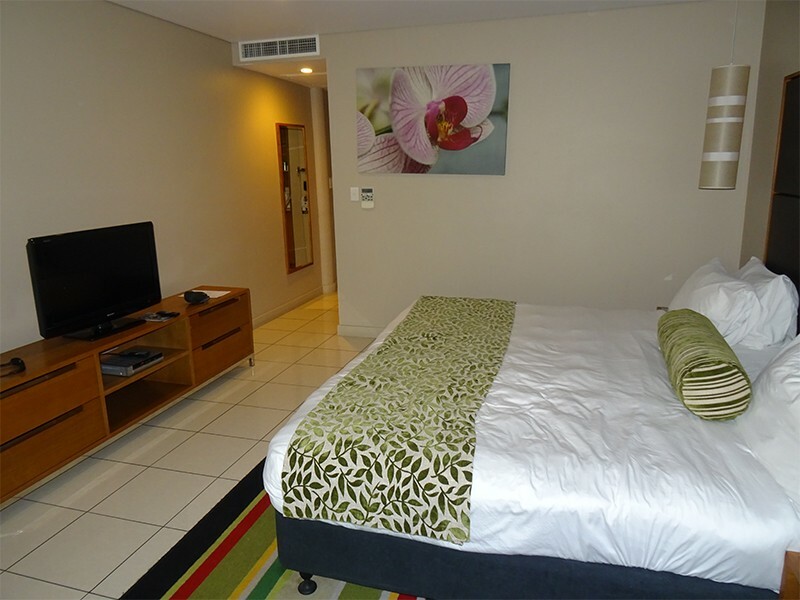 After lunch there is an opportunity to settle into your room at the Guest House. 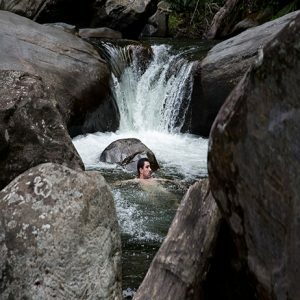 In the afternoon trekkers can take a walk through the village and a have a swim. This is a hidden secret so take the time to enjoy your self. We come together for our evening meal and have a briefing about the next days movements before heading off to bed. 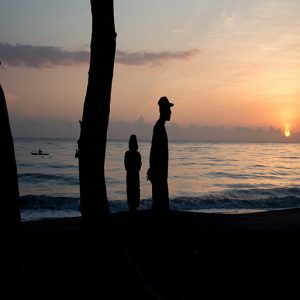 Trekkers wake before the heat sets in. After breakfast we take a tour and are briefed on the history of the area. A guided walk through the village seeing the local war remains and sites in the area follows this. 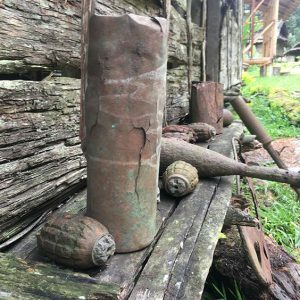 The locations we visit include Old Strip (where there are remains of Japanese zeros), Japanese pillboxes, field equipment, artillery gun shells and much more. This does take a few hours so be sure to take your hat sunscreen and water. After an easy afternoon, there is opportunity to mix with the local villagers, be sure not to walk too far to avoid heat stress, remember to take some water, camera and some Kina. 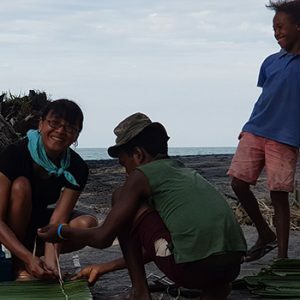 There is a farewell meal cooked by the Escape Trekking Adventures family, trekkers will enjoy the feast and may take an evening walk along the beach. 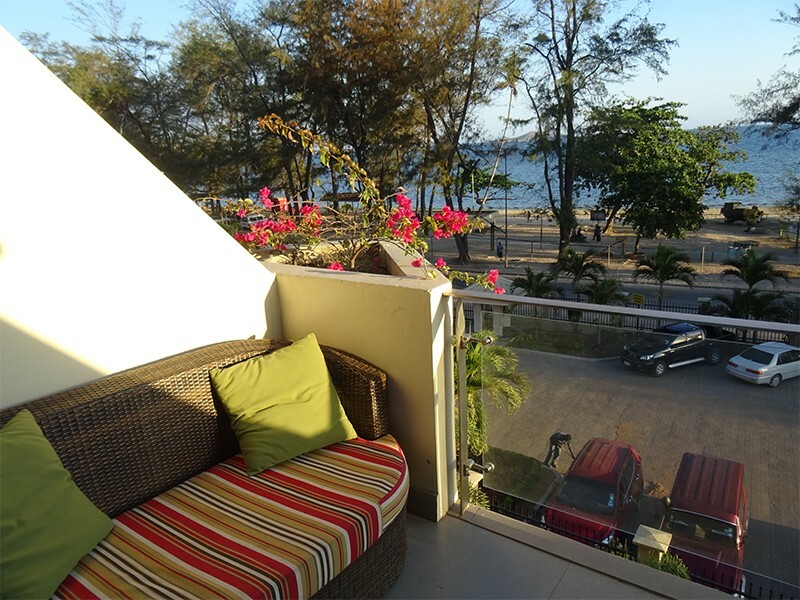 The night is very peaceful and the Guesthouse paints the perfect picture. Soon the trekkers move off to bed. 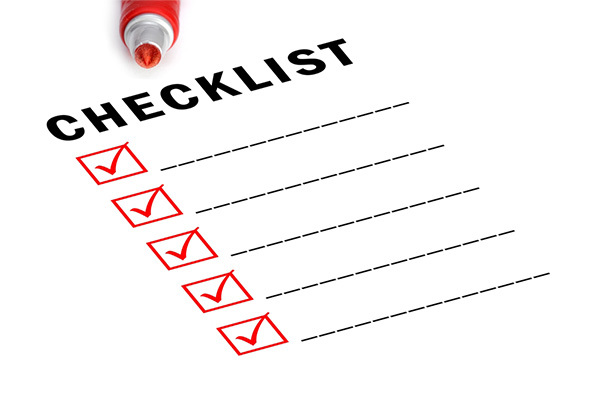 By now you are adjusting to the new routine, up and packed ready to go before you know it. We walk out from Buna for a period of 1 & ½ to 3 hours until we reach a road junction and the group will jump on board the PMV and move towards Popondetta. The drive to Popondetta takes around 45mins-1hr, once we arrive we will stop off at the supermarket, trekkers usually grab a drink and something to eat (personal expense). We take off early after a special service held at Con’s rock and walk for nearly 2 hours were we reach Alola and take a short break. From Alola we encounter our first steep down hill section which can be slippery if it is wet, this takes around 1 hour. From here we cross a creek and proceed to climb at a steady pace for 2 hours onto Eora Creek. The creek is a beautiful swimming place although it can be a little chilly, which is great for your aching mussels. From the gap we primarily trek to Camp 1900 and view the Myola Drop zone. 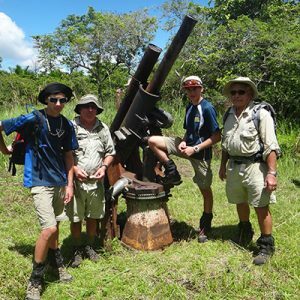 Tomorrow morning on our way to Naduri village there is an option to trek along Bamboo Ridge to Large Myola (2) and back to Diggers camp for the evening, this trek route will lengthen the day by up to 2 hours and only a complete and fit group can achieve this in day light hours. Occasionally this land along Bamboo Ridge may be closed by the land owners for cultural reason and this may result in us walking down the alternate track to 1900 our campsite for the night where there is a pleasant little stream to wash in. This campsite will be the coldest night sleep you will have on the track so rug up. We will have a bonfire here weather permitting. Naduri is a very beautiful village and the group will stay just beside the airstrip at the guesthouse with a very intriguing tree house built by the locals. Naduri was the location of Ovuru Ndiki, one of the last Fuzzy Wuzzy Angels who sadly passed away in November 2013. We visit his sacred memorial and tomb where the old man now lays in peace. One of Ovuru’s family members will greet us and tell stories passed on by Ovuru. Brigade Hill is the most eerie place to camp, often the clouds roll in over the summit adding to the sombre feeling of this special place. 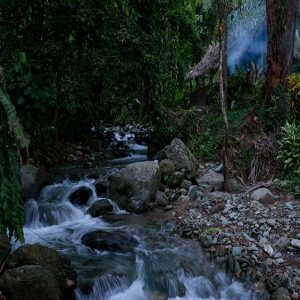 At Ofi Creek you can enjoy another welcomed wash at yet another beautiful location. The sunsets here are magical if the weather is kind to us, the porters quite often play footy on the large grassed area and sing into the evening. The group sets off early and progresses down through Dump 44 and onto Ua-Ule creek where we will cross the creek numerous times (17 times in total in this valley) before stopping for morning tea. 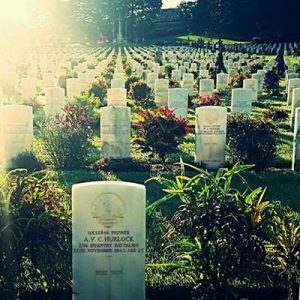 There will be opportunity here to view the memorials before boarding the bus transport back to Port Moresby and the last night at the Hotel. 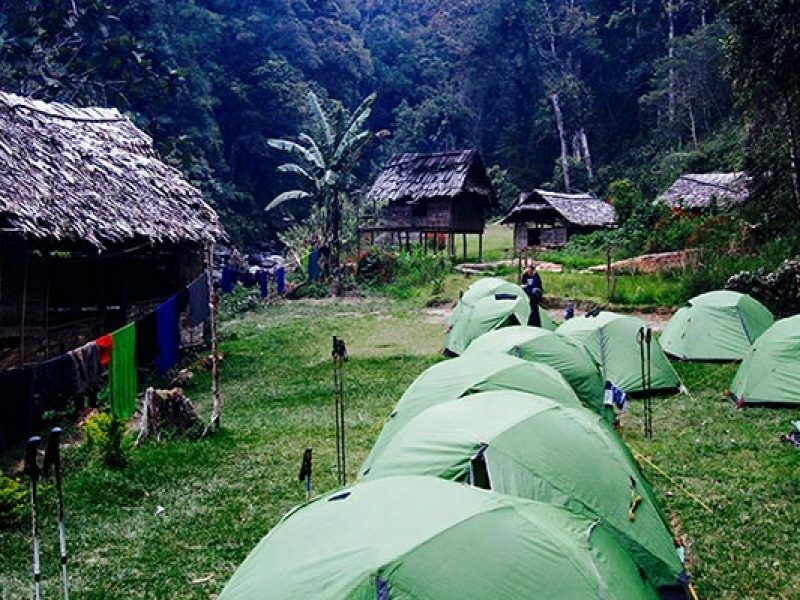 Use of Hiking tent, Backpack & Sleeping Mat (use in PNG). Single share two person tent for every person (no sharing tents with strangers)If the operators don’t mention tents in their package it is because they sleep under tarps or rat infested huts, we choose to take the safe guard against malaria by staying in insect proof tents. 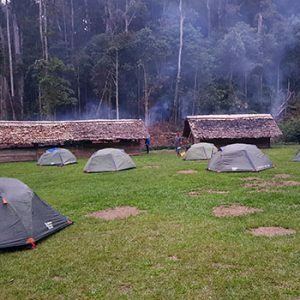 Our optional extras for the Kokoda Trail tours include a personal porter, self-inflating sleeping mat and single supplement for the hotel component of the tour. You can hire a personal porter (recommended) to carry the main components of you trek equipment such as a tent, sleeping bag, sleeping mat, clothing, first aid kit and any other additional items that you do not require during the day. An overwhelming majority (in excess of 65%) of people engage a personal porter for their tour. Your porter will stay by your side while walking and assist you in descending steep muddy slopes and give you a helping hand up the steep ascents. 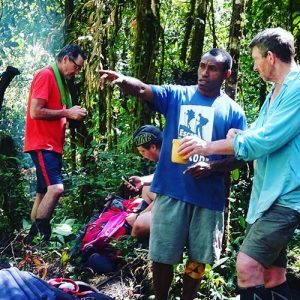 Our porters will get your drinking water for you as they know the purist locations, set up and pack down your tent and become your friend over the tour sharing his culture and life stories with you. 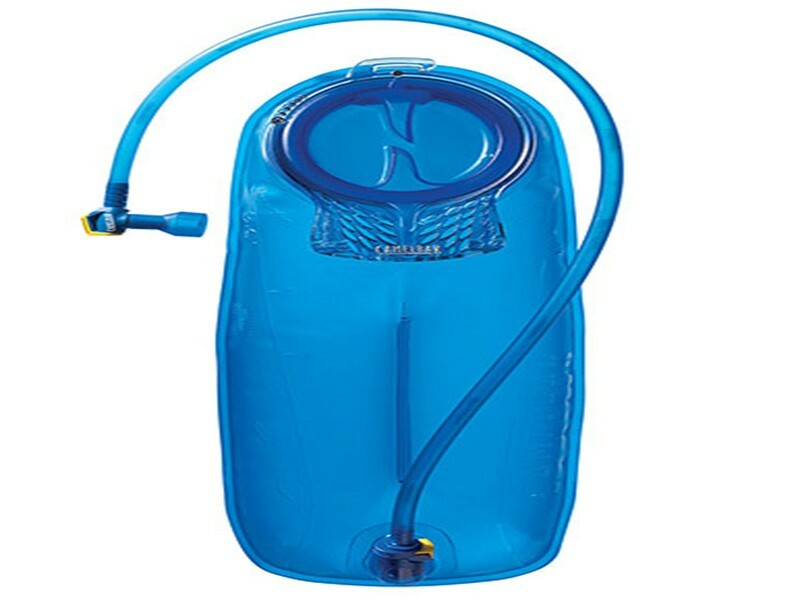 You would only be required to carry a 30L day pack containing 5-8 kilograms of contents (a majority of this is water). 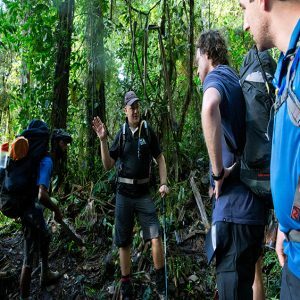 Escape Trekking Adventures supplies you with a 76L good quality hiking pack (handed out in Port Moresby) to pack your additional equipment in for the porter to carry. The additional costs for our porters is $700 and this fee covers a well above award wage (as set out by the Kokoda Track Authority), all the guesthouse fees for the porter, his food for the entire trip, an airfare or additional money to get to or from the start or finish of the tour (personal choice for the porter), food while waiting at the start of the tour, a sleeping mat, access to a sleeping bag and hygiene products. While on our tour you will have your own tent! 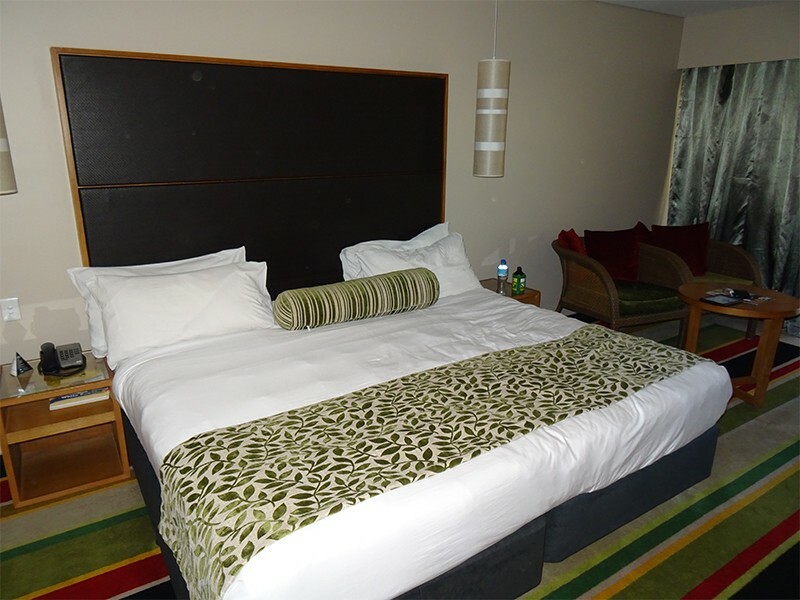 (NO sharing with strangers) to sleep in on the track, however while in Port Moresby the hotel accommodation is twin share. 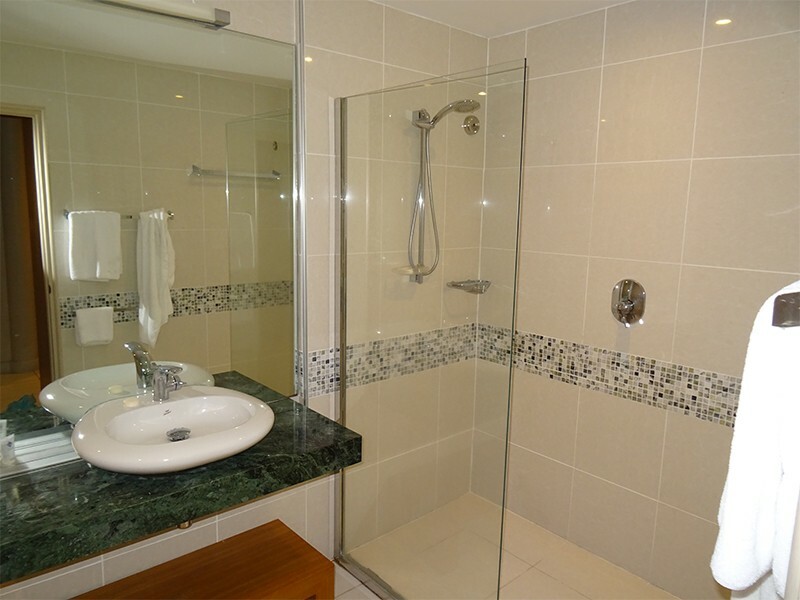 If you would like to have your own privacy in the hotel this luxury comes at a price of $200 per night. You can select this option while booking your tour or after the booking is made by contacting our office to arrange this optional extra. Our self inflating mattress is one of the best, a high performance and lightweight mat. A more detailed gear list will be sent out to you upon registration of your selected tour. We can assist you in your purchases, these are all suggested items and you should also do some of your own research to ensure you are carrying what suits you. If you have what we suggest on our gear lists this should be sufficient, but if you have any questions please ask. 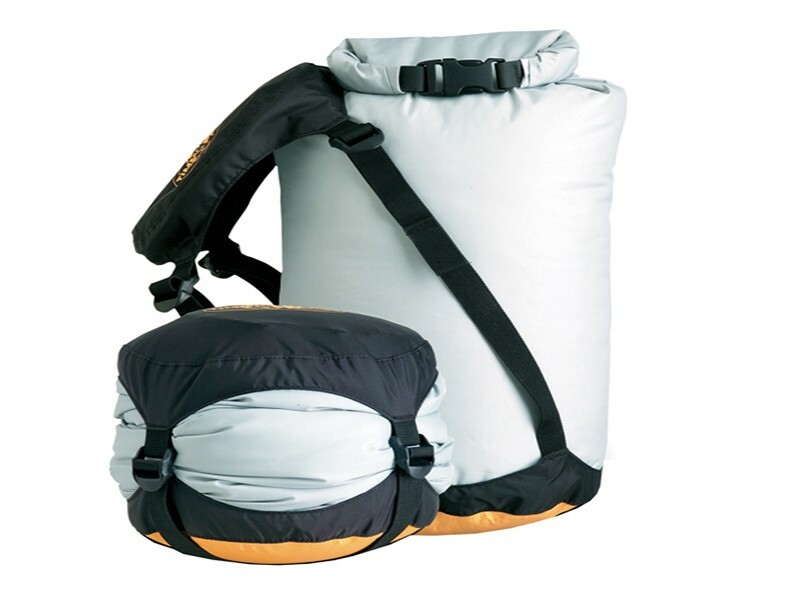 If you are using a personal porter you will have a 76L backpack (supplied by us) and a daypack to carry your water and a few loose items you need throughout the day. 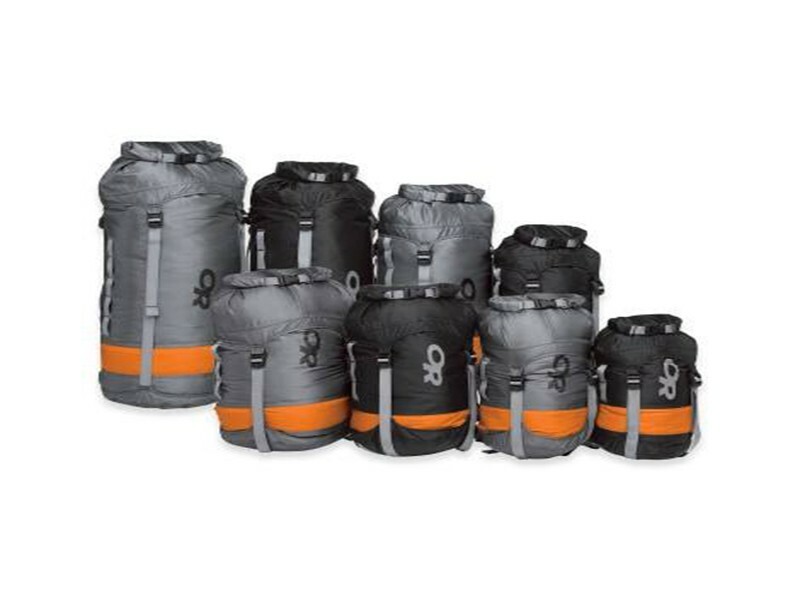 If you are not using a personal porter, you will need to buy (or hire for free from us) a 76L backpack or larger to carry all of you contents including your tent. Small amount of your snacks and or lollies. 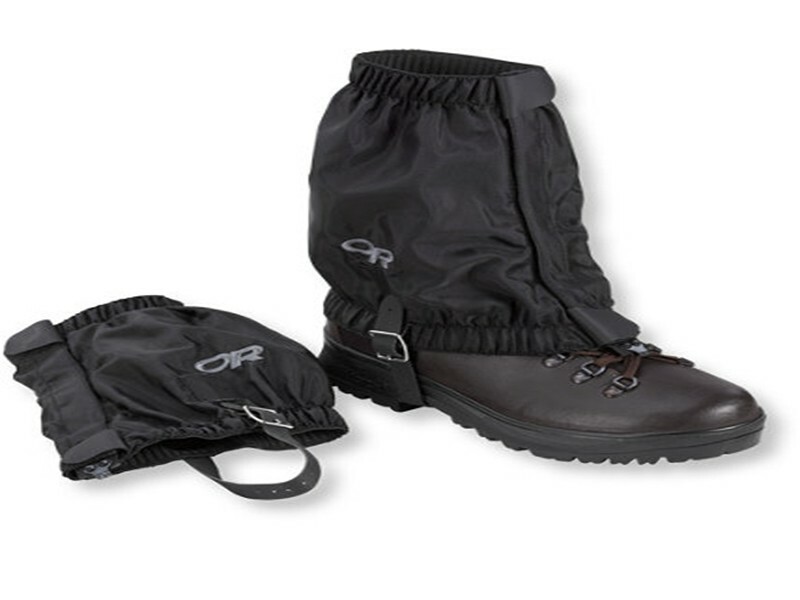 This is what I personally wear on my Kokoda trek. 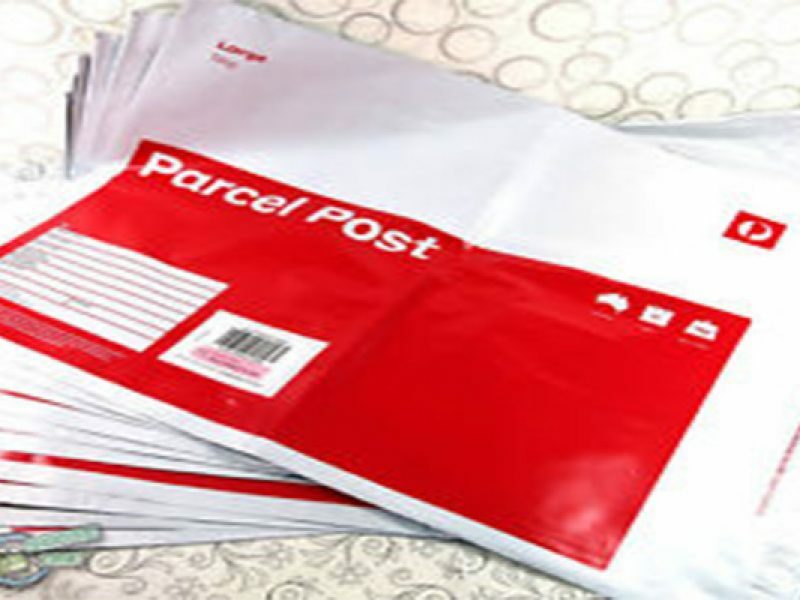 You will leave a bag in the hotel lock up in Port Moresby that is returned back to you when you arrive back from Kokoda. You can leave additional gear not required and clean gear for your return in this bag. Ensure you bring along a combination pad lock to secure your items. 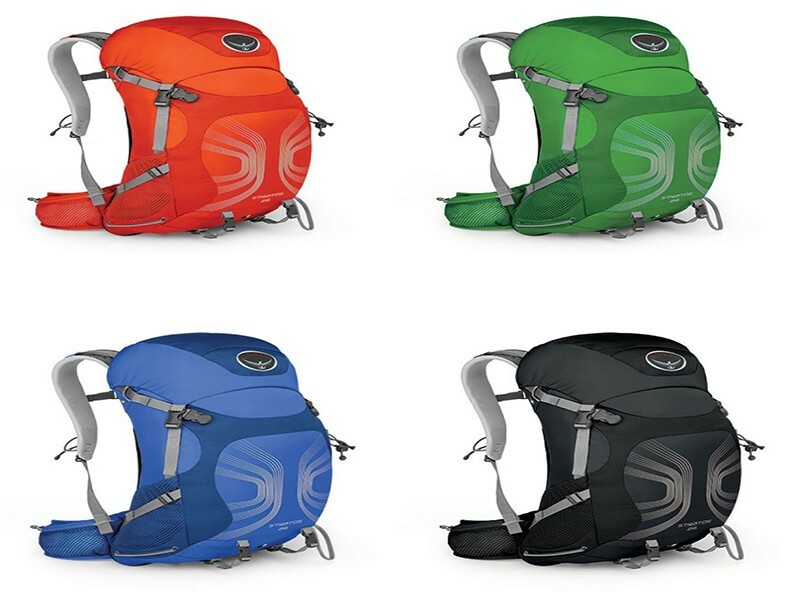 I recommend that you bring with you at least K700-1000 ($390-600 AUD), as it is better to have more money than not enough and there are no credit card facilities at the end of the trail. There are ATM’s in the Hotels at Port Moresby. You will spend this on fruit, twisties and soft drink along the trail and you may purchase some souvenirs from the villages also. The porters receive tips for all of their hard work and you will need to bring this money with you for the last night thank you to the group. At the hotel in Port moresby you are required to get your own meals (2 dinners and 3 breakfast) allow for 30-40 Kina for Breakfast and 50-90 Kina for dinner. The upper amount for dinner is the reef and beef however you can get pizzas for for less than 50 Kina and they taste great. 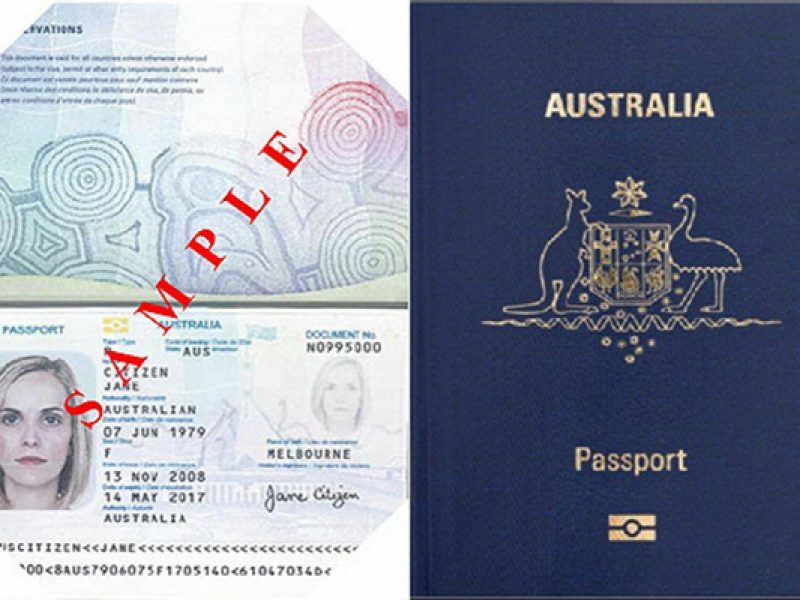 Australian Passport holders who will be trekking the Kokoda Trail are required to obtain a Tourist Visa to visit Papua New Guinea. 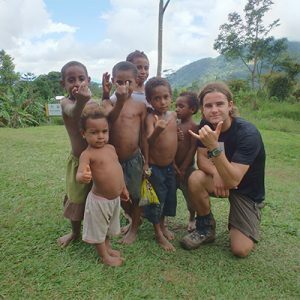 Tourist visas to PNG are free for Australian citizens. 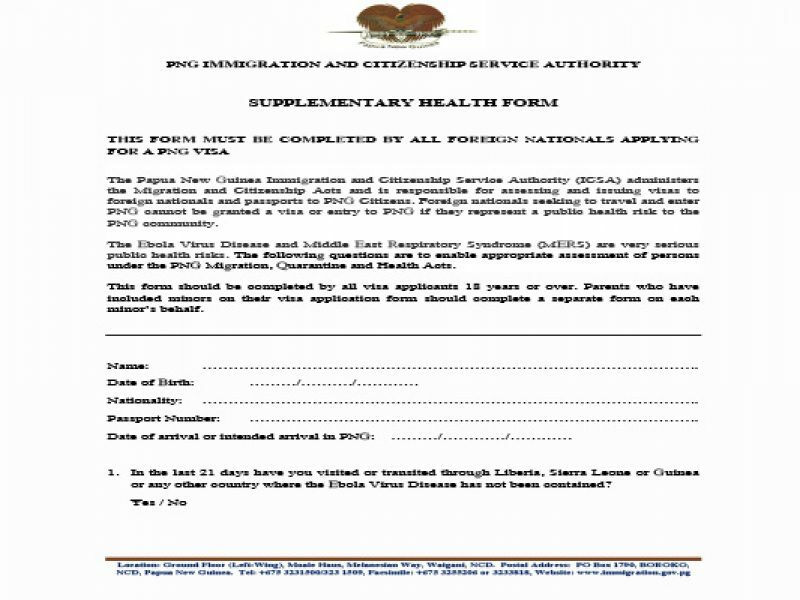 Your visas must be arranged approved before arrival in PNG. 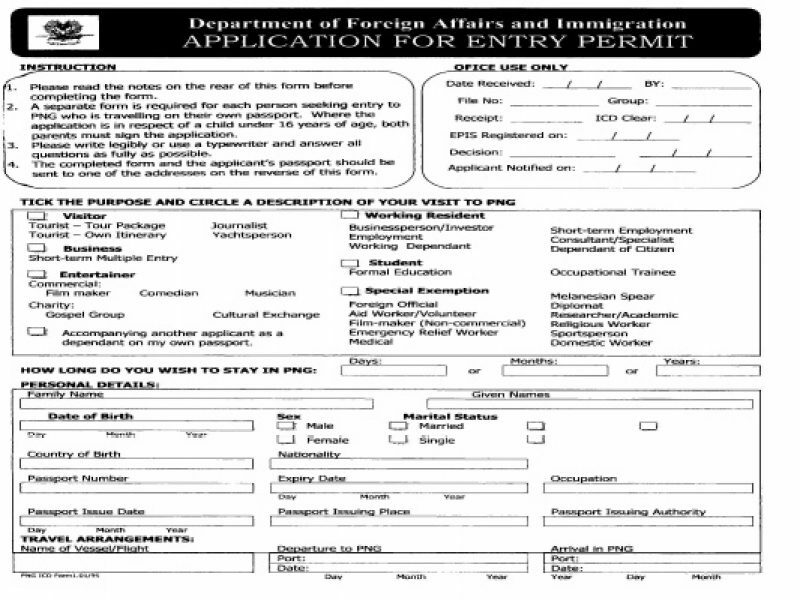 Your Passport Must have at least one blank page for the visa sticker to be attached. 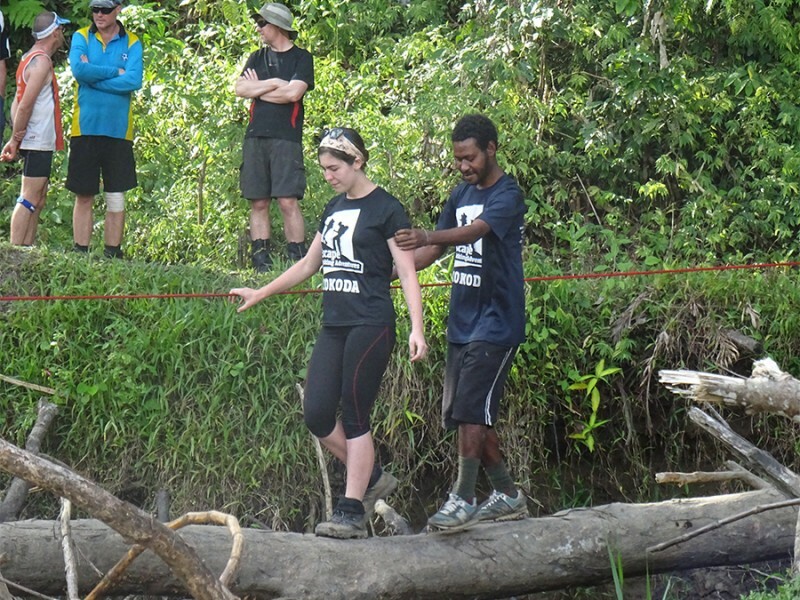 Training for Kokoda is unlike any other activity you undertake. The type of training program will vary on your pre existing fitness levels, strength and minor injuries or impairments you may already have. 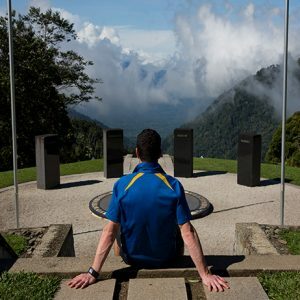 Don’t be scared or put off on taking on a challenge like Kokoda just remember everyday normal Aussie’s tackle Kokoda everyday and complete their goal having felt like they have achieved an accomplishment they can be proud of. 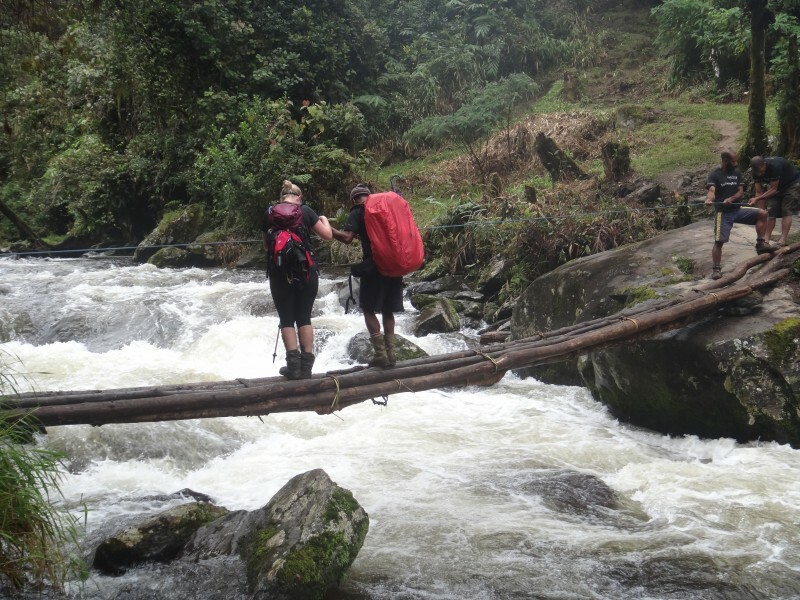 Trekking the Kokoda Track, Kilimanjaro or base camp is not a walk in the park! It is an amazing challenging experience, and the amount of training and preparation you do beforehand can determine the amount of enjoyment you have on the track. We recommend that you put in at least 3 months training before you trek. If you are in good physical fitness, your preparation time may be less. To avoid residual fatigue ensure you have at least one rest day ideally after your hardest session of training for the week. Vary the method of training over the coarse of the 12 weeks from bike riding to interval training and a little running, however 60-70% of your cardio workout should be bush walking with a pack on. 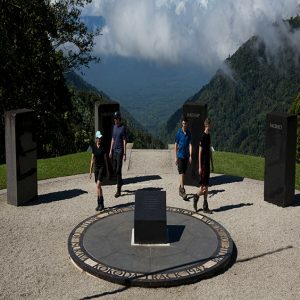 These guidelines are for those carrying your pack along the trail, however, if you have a personal porter, then your training should be with at least 11kg. 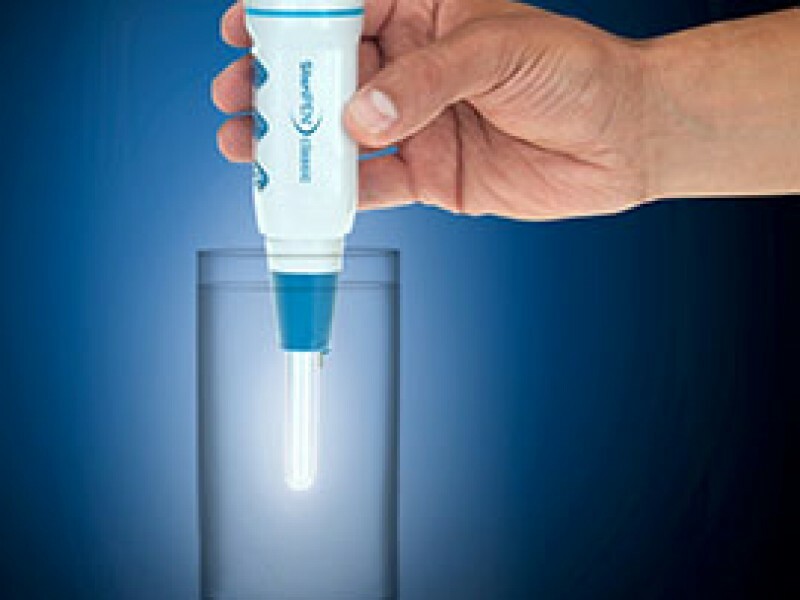 This equates to the water you carry, as well as daily personal gear, eg. camera, sunscreen, lunches etc and a little extra for better preparation. 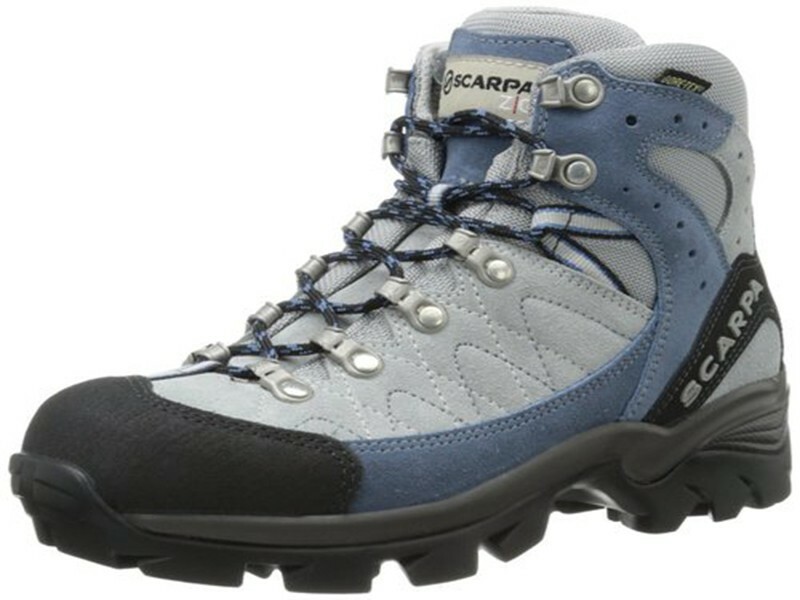 Walk for 45 minutes at a faster pace, on ;hilly ground increasing weight to 5kg x 6 times a week you should by now had purchased your hiking boots and be wearing them for all walk. 35 minute of interval training such as excise bike, sprints, rowing etc. Do 30 secs at high speed, 30 secs slow pace of the chosen excise 4 times a week. 1 x walk for 2.5 hours carrying 8 kg. 4 walks for 60 minutes at a faster pace on hilly ground increasing weight to 9kg over the week and 2 walks of 2.5 & 3 hour duration. 4 walks for 90 minutes at a medium to pace, on Hilly ground increasing weight to 11kg over the week and 2 walks of 2.5 & 3 hour duration. 1 walks for 90 minutes at a faster pace on hilly ground increasing weight to 13kg over the week and 2 walks of 3 & 4 hour duration & 2 runs or bike rides for 30 minutes on grass areas to reduce impact & residual fatigue. 4 walks for 90 minutes at a faster pace on hilly ground increasing weight to 15kg over the week and 2 walks of 4 & 5 hour duration. You can replace 2 short walks with runs/rides this week also reduce residual fatigue. 4 walks for 100 minutes at a faster pace on hilly ground increasing weight to 17kg over the week and 2 walks of 4 & 5.5 hour duration. 4 walks for 120 minutes at a faster pace on hilly ground increasing weight to 19kg over the week and 2 walks of 4 & 6 hour duration. 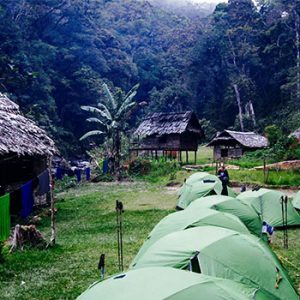 Our guides and porters are all from the Kokoda Track. 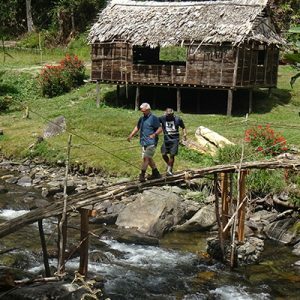 Escape Trekking Adventures believes in distributing the money across many locations of the Kokoda Track and we employ from many villages not just one select village. We find employing from varying locations means we have a helpful friend in every village. 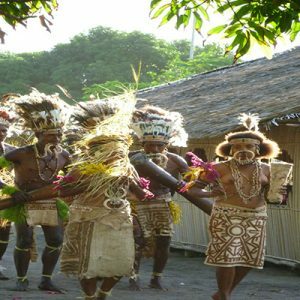 They come from Owers Corner, along Ioribaiwa, the middle of the track villages of Efogi 1 &2, Isurava, Kokoda (and surrounding villages) not to mention the north coast village of Buna. 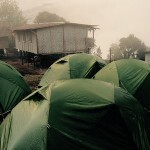 They have been hand selected to ensure the safety of trekkers and to provide the best service possible. All Porters and Guides are paid above award wages and are either paid to return home or have the flight home covered (this depends on where they live and their personal preference). Our Porters camp site fees are covered by us and they are given ample food (a menu they selected), along with a uniform, sleeping equipment and their own first aid kit.The wage rates vary and prominant roles such a head cook and head guide are paid more along with point man and assistant cook to ensure we have the best staff working for us. These guys work hard and love what the do for a job. Our porter teams are long term employees who value their job and love the safe and friendly working conditions we provide them. 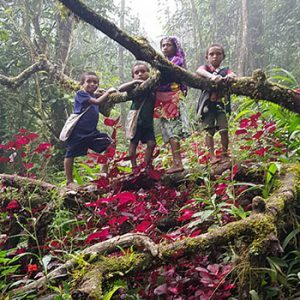 We have picked the best porters from a variety of villages to provide you with a safe and cultural journey through PNG and Kokoda. 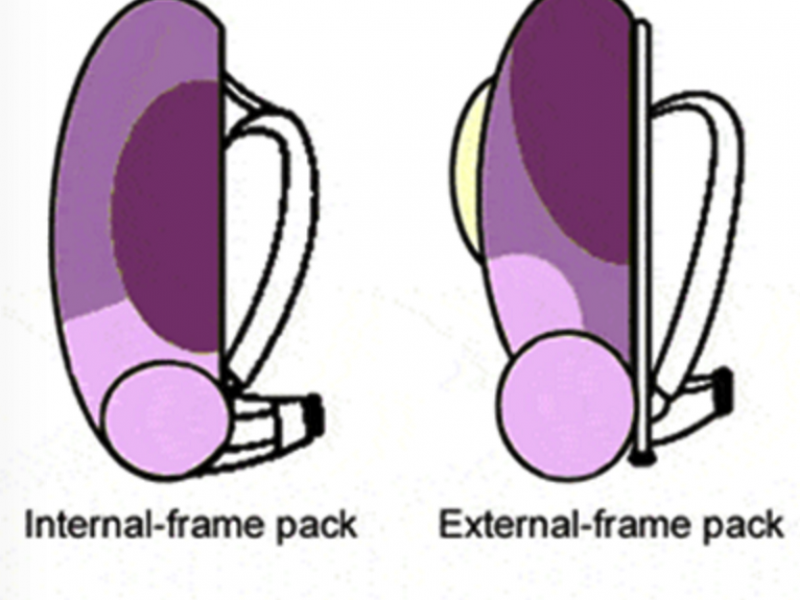 Carry the backpack of the trekker along the full distance of the track (backpack included in package). 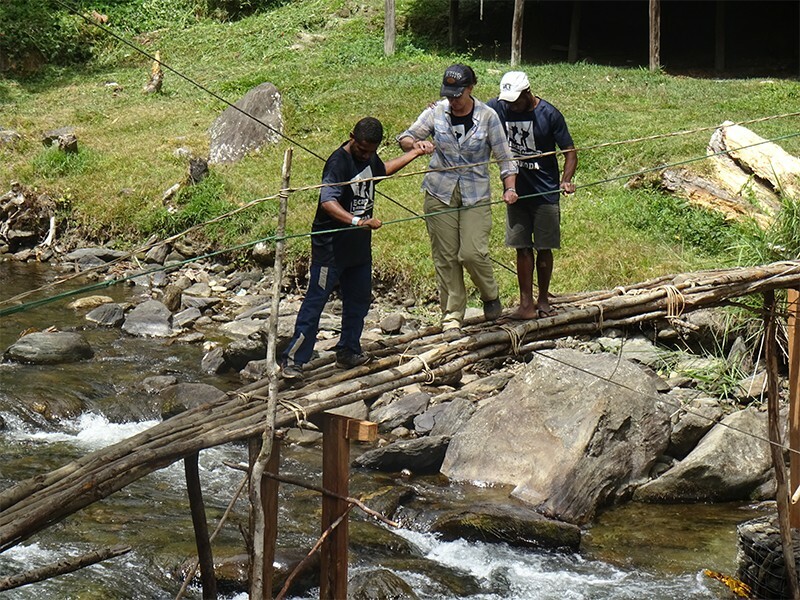 Assist the trekkers at the river & log crossings. Carry your tent, Put it up, and down again in the morning. 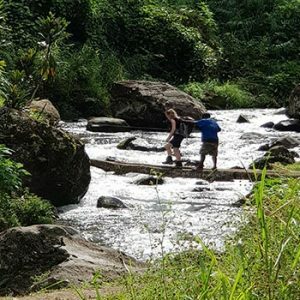 Collect your water from the purist streams (these guys know the best locations) when you require it. Head & Lead Guides are responsible for the whole group. They lead the group at a meduim pace, so that the trekkers stay together and get safely into camp. 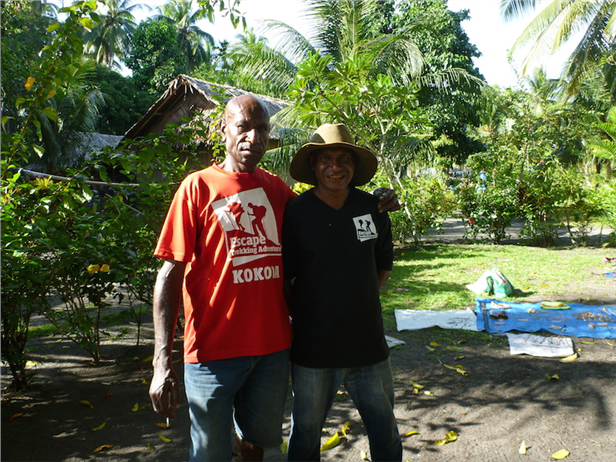 Living along the Kokoda Track & having walked the track, some over 100 times, they are very experienced. The Guides are First Aid Qualified carrying the group medic kit and Satellite Phone. 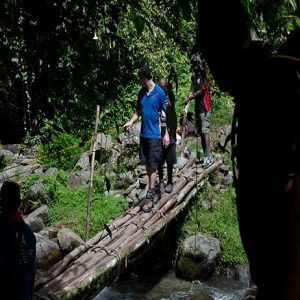 So you have decided to choose Escape Trekking Adventures to facilitate your Kokoda Trail adventure, Great choice! 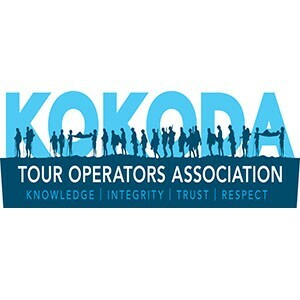 What are the processes to book, pay and complete your Kokoda tour? 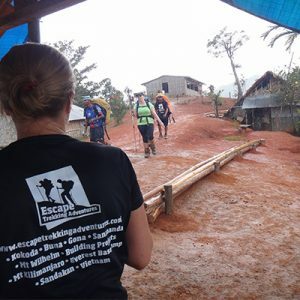 Escape Trekking Adventures will send out our destination information packs containing a 3 month training plan, destination information, forms (that are required to return to us), a doctors examination (to alert you and ETA of any pre-existing conditions that may effect your trek. 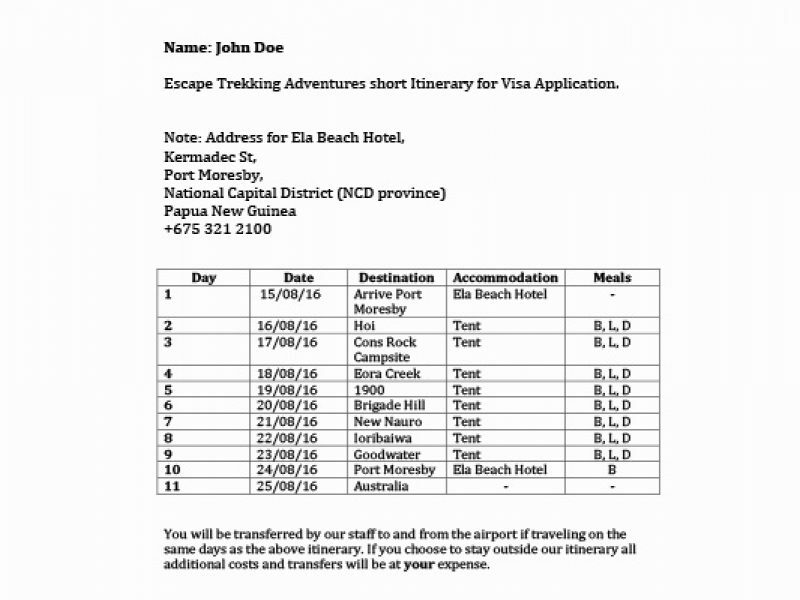 # note this is a requirement buy the Kokoda Track Authority), visa forms including a supporting letter that the embassy requires, gear list and a gear discount voucher. 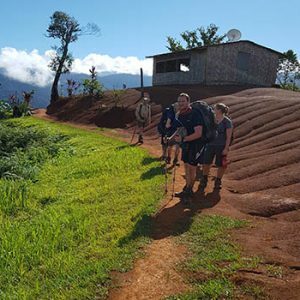 Begin training for your Kokoda tour as soon as possible to ensure you get the most out of your tour. 1. COMMUNICATIONS: Inmarsat and Iridium type satellite telephones with SPOT GPS tracking devices, which allow us to keep a close watch on our trekkers locations at all times. Whilst on our treks we have Comms (Communications) with the various Villages and campsites via UHF radios and our Guides carry VHF 2 Way Radios for contact with each other. 3. QUALIFIED & EXPERIENCED: We are a professional outdoor adventure recreation business, we are not ill informed travel agents who sell holidays, we are not ill trained, ill equipped or unqualified to run outdoor adventure activities. We are licensed to carry out these types of activities in Australia and off shore. Our Australian Trek Leaders come from diverse backgrounds some are Adventure Activity Leaders others ex Military and have travelled the globe. 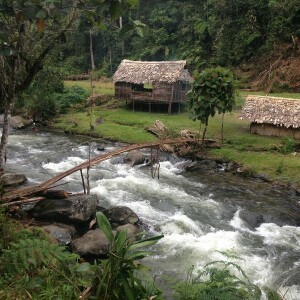 They all trekked the Kokoda trail and all having for the passion for the people and the host county for our adventure. 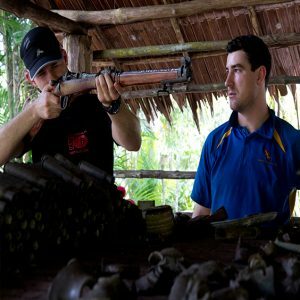 Our guides are there to provide life-changing experiences to you our clients. 4. CATERING: Food, it is said an Army marches on it’s stomach. ETA have dedicated Cooks (who are well versed with Food Hygiene and handling) on the trek who produce culinary delights both local grown and western variety with the right balance of carbohydrates and protein to ensure you have all what you need to keep you going each day. Signature dishes can be Calzoni Pizzas, fresh scones to name but some of our surprises.! We do not issue rations packs to our trekkers. 7. 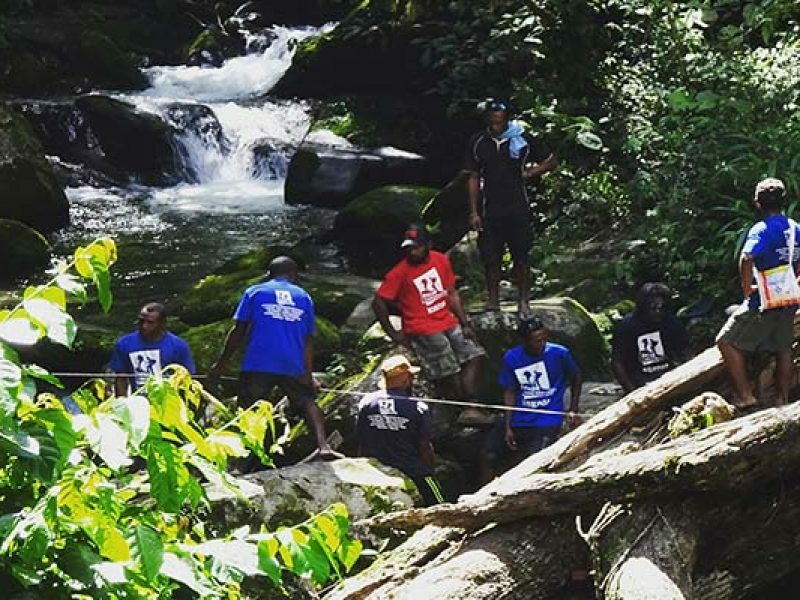 DEDICATED: Personal Porters who will assist with your day to day needs from putting up and taking down your tent to ensuring your water re-supplies giving you more time to relax. 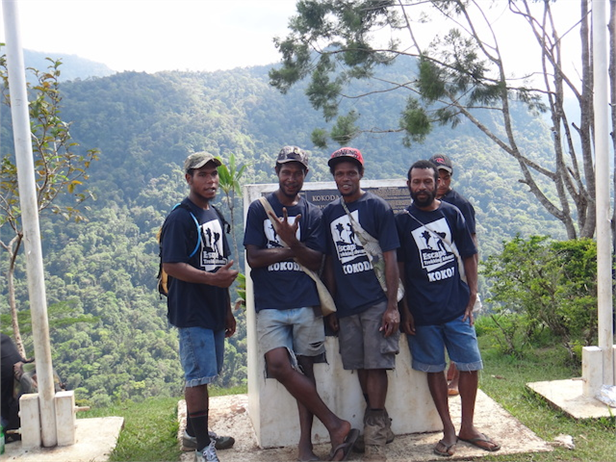 Some of our Kokoda trail Porters have trekked Kokoda over 100 times. 8. 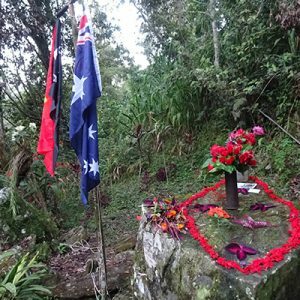 HOLISTIC HISTORICAL JOURNEYS – Kokoda, the campaign isn’t just about the Trail in fact some of the most major battles were fought on the Northern Beaches at Buna, Gona and Sanananda. We offer extended and shortened tours some cover the Northern Beaches. We offer many options and age is no barrier our youngest Participant was 12 and oldest 82! 10. 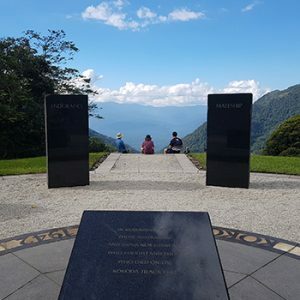 PRICE: Value for money, you will find ETA one of the most affordable tour operators and our small groups means quality we want to see and encourage more Australians to walk in the footsteps of heroes. 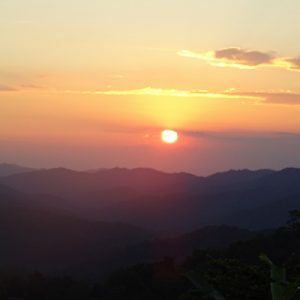 Escape trekking Adventures has hand pick our guides and consider them the cream of the crop so to speak. Being an Australian qualified outdoor recreation business our guides are trained to the same high level Australian authorities expect. We really do have the most professional guides in operation. 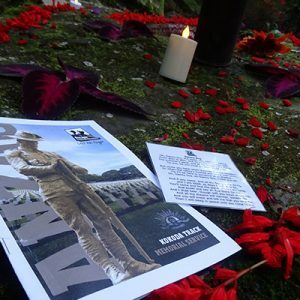 Our guides are trained, assessed and deemed competent as a Kokoda tour guide. Our rolls for Kokoda tours are dynamic and we recognise this, we are your Kokoda Trail war historian, we are your cultural PNG guide, we are your tour manager (this goes beyond the walk and begins from the time you book and includes the entire duration of the tour in PNG until you are back home safe in Australia), we are your environmental guide, we are you medical consultant and field medical attendant, we are your memorial service provider and most of all are your friend when you need some one to talk to, laugh with and cry with. 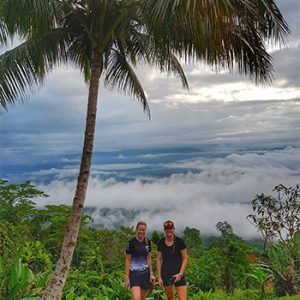 If you are looking at trekking the Kokoda Trail it is essential that good health and preparation with regard to your health is the first and foremost task. As with all adventure travel outside of your usual environment you will need to be prepared for the activity. Tetanus is caused by a toxin released by a common dust or soil bacteria, which enters the body through a wound. 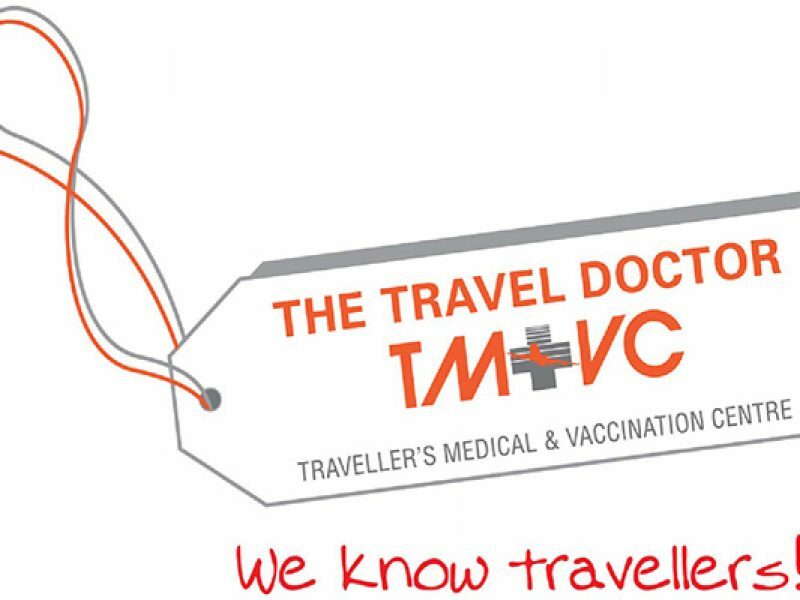 advised that travellers to less developed countries have a tetanus, diphtheria & pertussis booster. have long term immunity from previous exposure as a child. cannot elicit a history of having had the illness a test can show whether at risk. 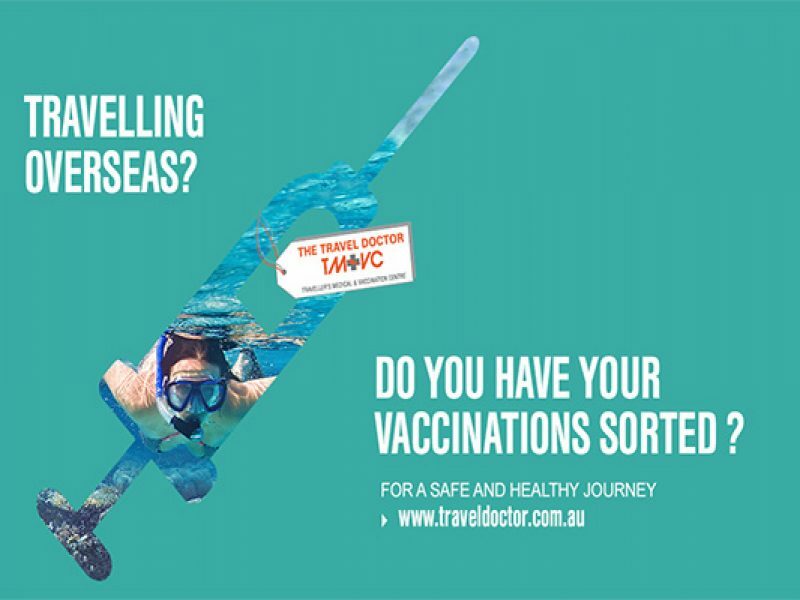 flu like illnesses should be investigated by a travel health specialist. nets & insecticides. The mosquito is a day time biter & the risk is greatest in urban areas. 10 days, but if further time was expected to be spent in the region, it could be indicated. can rapidly improve the symptoms. • Malaria is a risk factor in PNG. Malaria prevention options should be discussed with a travel medicine specialist prior to departure. 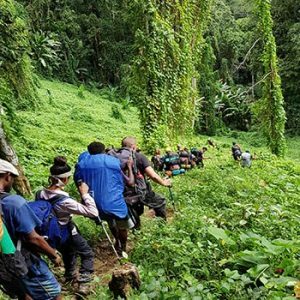 • Parasitic infections & tropical ulcers are a concern on the Kokoda trail. Hook worm can result from the penetration of worms through intact skin so enclosed foot wear is essential. 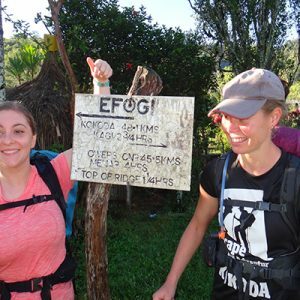 • Fungal infections occur readily in trekkers due the humidity & wet. Feet are particularly prone, & drying feet, socks & boots is advised every night. Carrying a broad-spectrum antifungal cream is recommended. • Dehydration is a major problem. Keeping well-hydrated is important, & ensuring that trekkers are carrying adequate supplies of drinking water is essential. Water should be boiled, & the addition of electrolyte solutions, such as hydralyte, can assist in addressing the associated loss of body salts. 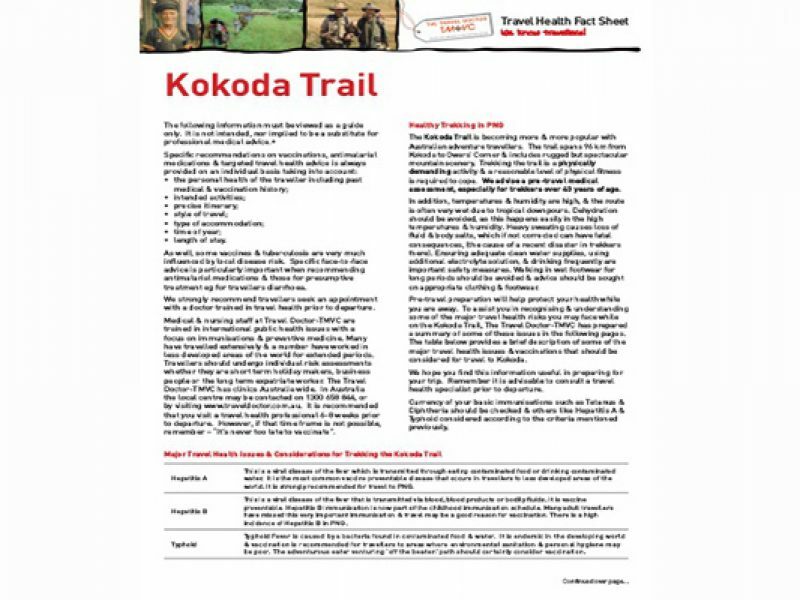 Source of information for this web page comes from the Travel Doctor 9115 TD health fact sheet Kokoda Trail. 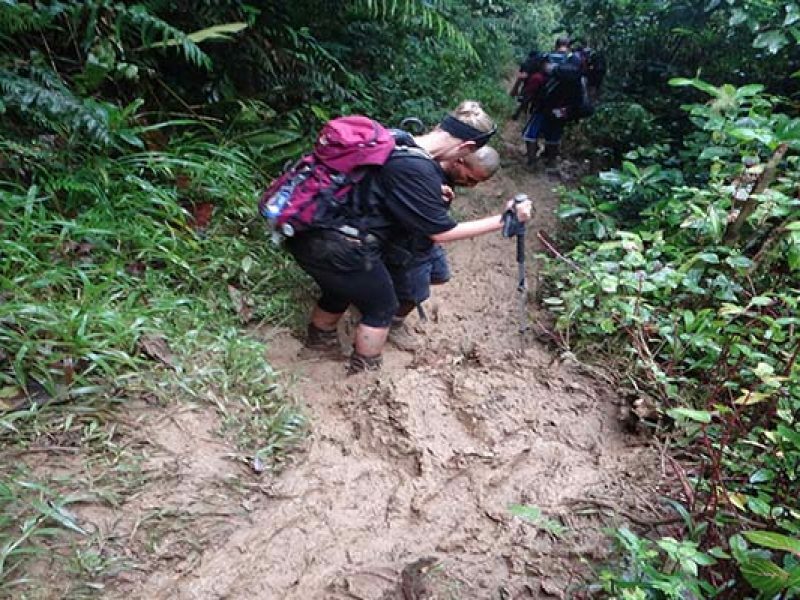 Did you ever wonder what it is like to trek the famous Kokoda trail? 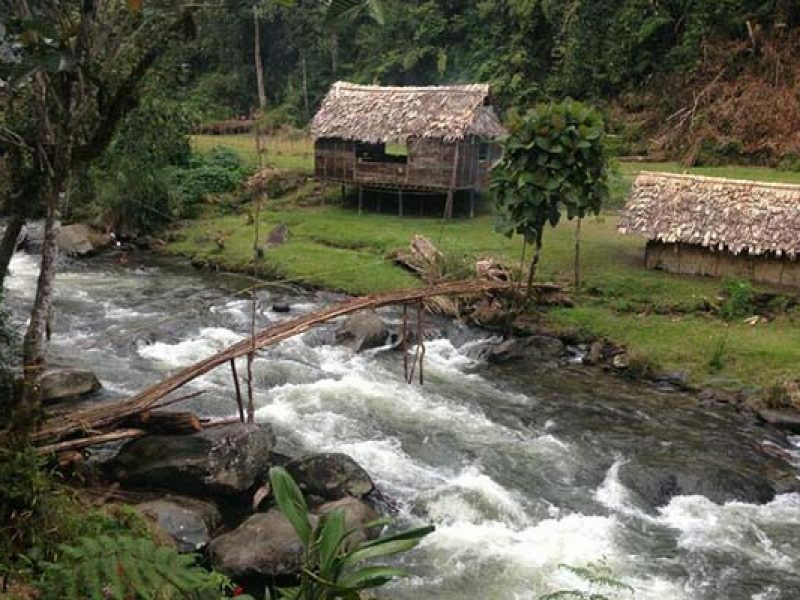 Follow the track that the Veterans of the Kokoda Trail Campaign battled the Japanese in 1942. 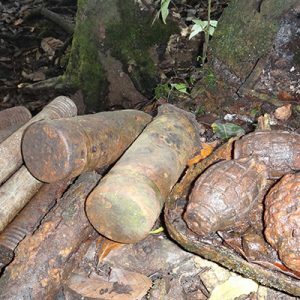 Kokoda was one of the more difficult places to wage a war soldiers from both sides endured terrible conditions. 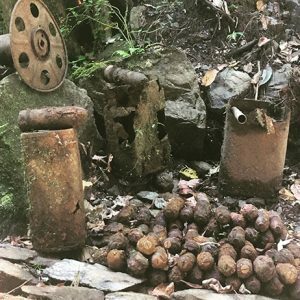 This detailed video account takes in the trail like rarely seen before with drone footage along with video and photography of the Kokoda Track.